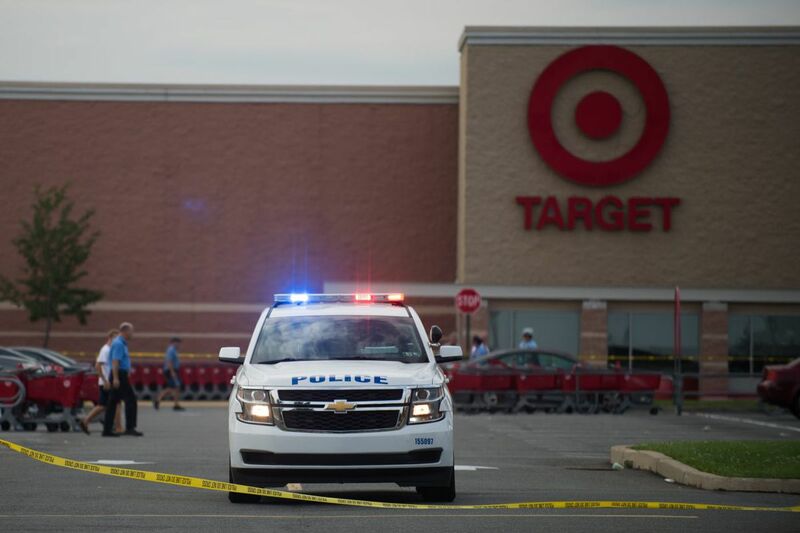 Police at the scene of a shooting at a Target store at 7400 Bustleton Ave.
At least one assailant shot a 29-year-old man outside a Target store near Roosevelt Mall, sparking a series of events that included an evacuation of the store, action by the SWAT unit, and an "active shooter" response. The incident began around 3:30 p.m., when the victim was shot in the back and made his way into the store to escape from his attackers. That caused a brief panic and a call to police, who later summoned SWAT. Police entered the store, at Bustleton and Bleigh Avenues in Rhawnhurst, but no suspect could be found inside. One man was taken into custody and questioned, but was released, a police spokesman said. The victim meanwhile, was taken to Aria-Jefferson Health, Torresdale Campus, where he was admitted in stable condition with a gunshot wound to the back. Police released no other details, including a motive for the attack, but some witnesses said they heard sounds of an argument among men before the shooting began.